Above: Rya Collection. Photos by Krystal Peto for the Lingerie Journal. “Design-wise, this was one of the more exciting [CURVE] shows I’ve been to within the last few seasons.” – Cora Harrington, the Lingerie Addict. 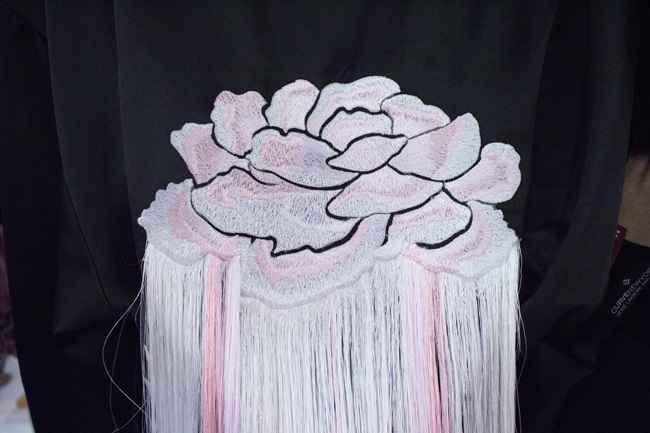 Fringed embroidered flowers, hand-covered satin buttons, roses seemingly brushed on fabric and a star chart stitched on a pair of sheer knickers. These are some of the visual and tactile memories from CURVENEWYORK that stand out for me weeks after the show ended in early March. 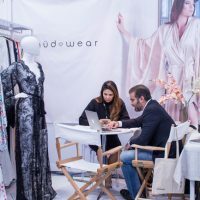 It was a treat (and refreshing) to see highly creative and unique designs from brands like Rya Collection, Amoralle, AJOUR, Ginia, Nüdwear, Adina Reay, and Va Bien — amongst many others — at the show. 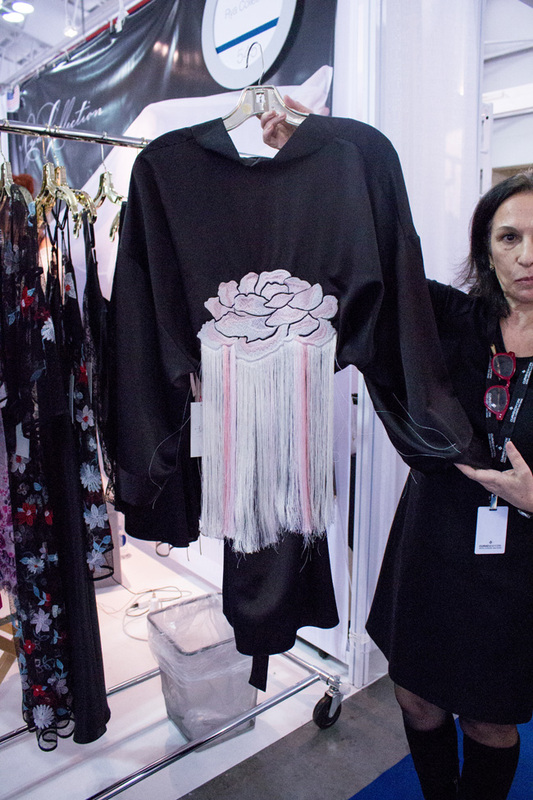 Amoralle’s founder, Inese Ozola, said each satin button on this bodysuit is expertly hand-covered. 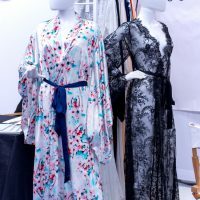 Brands like Hanky Panky, Natori, the Little Bra Company and Oh La La Cheri also celebrated huge milestones from 10 to 40 years in business at the same time as CURVEXPO. And this is what continues to make CURVE a great business opportunity – they help connect brands with buyers. The show has been doing this for years now — 10 in fact. At this edition of CURVENEWYORK, the organizers celebrated their 10th Anniversary. 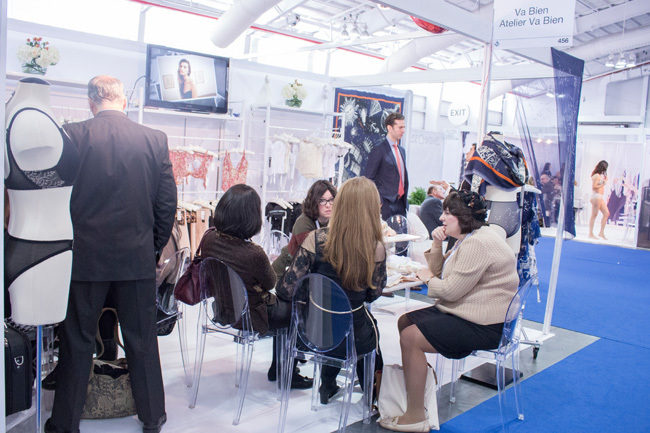 To highlight their Lingerie Tin, CURVE partnered with seven exhibiting brands for a retrospective exhibition at Javits. 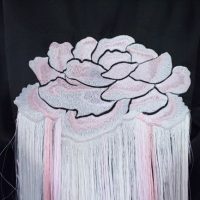 Visitors browsed through styles and best-sellers that have become ubiquitous in the lingerie market from Anita, Chantelle, Eveden, Hanky Panky, Leonisa, Lise Charmel, Montelle, Panache, Simone Perele and Wacoal. Also featured were the top trends over a decade by Cora from theLingerieAddict.com (pictured below). The celebration continued with the CURVE 10 Year Anniversary Gala to honor the community brought together a decade ago by the CURVE founders, Laurence and Jean-Luc Teinturier. The gala was also a nonprofit occasion and CURVE, in support of the Breast Cancer Research Foundation (BCRF), donated all gala proceeds to BCRF. Above: Loulette Malva Lace Crop Top. 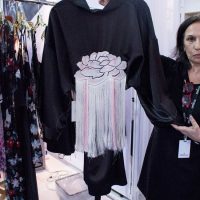 Walking the event, the Lingerie Journal team also found that several brands like Loulette and Arianne were incorporating ready-to-wear pieces into their collections or helping retailers visualize how consumers should think about their lingerie as fashion foundations. 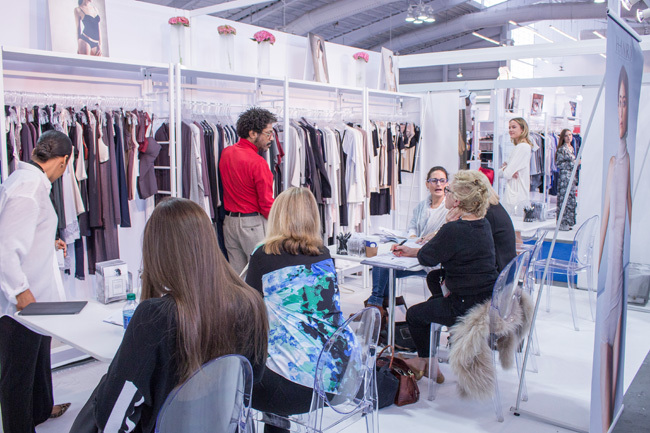 There were quite a few brands at CURVENEWYORK that made more than a few people do a double take and spend some extra time at their booth. 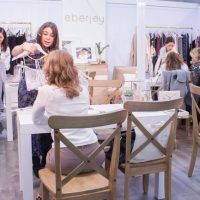 We wanted to take a second here to showcase a few of those brands for our readers just in case they missed them at Javits. When I was walking the show, my wife was still pregnant with our son and maternity and nursing intimates were defiantly on my mind. 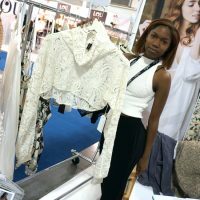 And quite a few brands perked my interest, but I was truly impressed by Nadine M. Woods’ vision for her brand, Mayana Genevière. Described as, “…a high luxe, intimate apparel line designed to celebrate and support the journey of womanhood. Initially created to bridge the gap between fashion lingerie and maternity undergarments (with a focus on the restoration required during postnatal recovery), this innovative intimate apparel brand has evolved into a versatile line capturing the essence and needs of a woman as she transitions through life’s many stages. Underwear is fun. Sometimes we lose sight of this and it’s great to see a brand like Uwila Warrior bring color, vibrancy and whimsy into their design process. The brand was founded on one simple belief: Women shouldn’t have to twist their bodies and lifestyles into underwear that only fits sometimes – they should have unapologetically colorful, beautiful, and comfortable underwear that fits every moment of their lives. Coming off a successful Kickstarter Campaign, Giapenta showcased their luxurious collection intimates at CURVE. 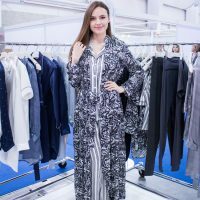 The brand’s collection is beautiful and there’s some serious fabric tech behind each piece. Giapenta is designed to proactively balance body temperature and incorporates other design solutions to their intimates more comfortable and fit better. 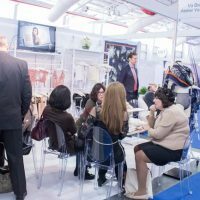 CURVENEWYORK returns to Jacob Javits this summer from August 6 – 8, 2017.